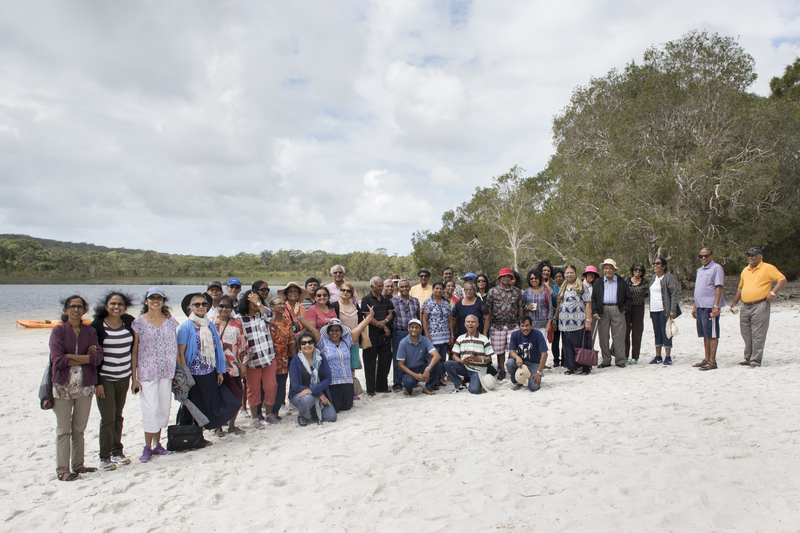 Brisbane Seniors Group is a service delivered by the Sinhala Association of Queensland (SAQ). The purpose of the service is to create an enabling environment for seniors and their supporters (and all community members) to engage in meaningful activities that promote the well being of the senior most members in our community. As such the annual program is designed to engage the entire community, incorporating intergenerational interactions to create understanding and harmony, trips to interesting places, providing health and well being information and programs and opportunity for volunteering. Currently the group meets monthly on the last Saturday from 9.30 am – 2.00 pm. Having fun at every meeting which promotes a sense of well being is the main focus of the group. As such singing and the shared lunch are regular features of the meetings. We have more photos on Flickr from 2018, click here to see them. The invitation to SAQ Seniors to present ' TASTES OF SRI LANKA ' under the World Kitchen program was a result of the close relationship forged between Sinhala Association of Queensland and Brisbane City Council which has been a long term supporter of SAQ Seniors with an annual grant. The presentation by SAQ Seniors highlighted the multicultural ambience of the Sri Lankan society. Enriched by the culinary contribution made by the Sinhala, Tamil, Muslim and Burgher communities, 'the daily Sri Lankan meal' accentuating the taste of harmony, won the hearts of the multicultural audience as they enjoyed the tastes of Sri Lanka. So as you can see, it was well received and appreciated. We are really looking forward to hosting the event again at Grange library.